How one nurse answered the call mid-flight to save a man's life. “Any medical personnel on board, please alert a flight attendant immediately.” The flight was barely halfway through the five hour journey from Puerto Rico to Chicago when the call rung out over the plane’s intercom: LaTisa answered the call and jumped into action. LaTisa Gonzalez, clinical nurse manager at Presence Saint Joseph Hospital and adjunct professor at Resurrection University, was headed home after a vacation with friends and family. 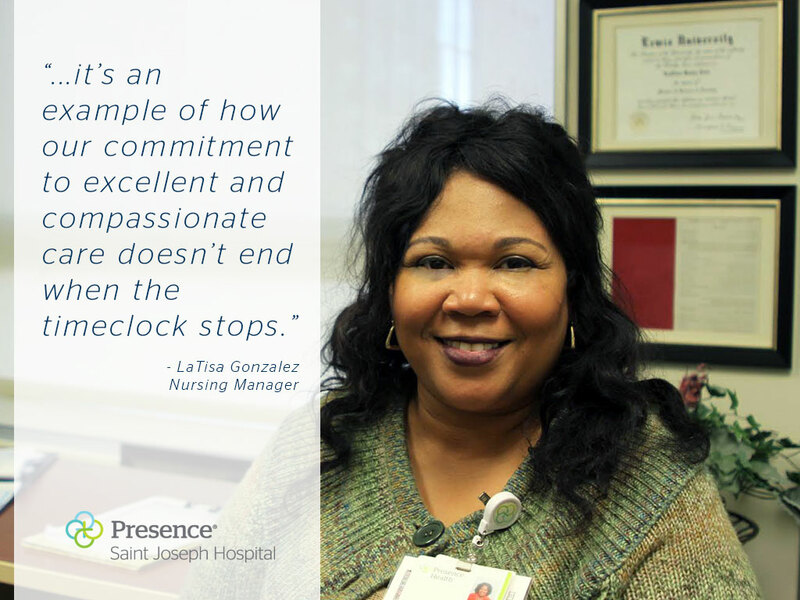 LaTisa is an experienced registered nurse and a nursing educator. As a clinical nurse manager, she prepares her team of nurses to provide the best care; as a professor, she trains the next generation of nursing professionals. As such, she is well-equipped with the knowledge and compassion to step in and provide care, even in the most unlikely locations. During the flight, an elderly man had begun to experience a multitude of symptoms from feeling faint to difficulty breathing. With two more hours left in the flight, the flight attendants and pilots were unsure whether or not to begin the emergency landing protocols. Despite the language barrier, LaTisa was able to speak with the man and efficiently evaluate his current medical conditions and review his medications. His condition at the time included a delayed heartbeat, high blood pressure from diabetes and kidney complications. It was when LaTisa read his oxygen tank that she knew she needed to work quickly to determine next steps—he had just 40 minutes of oxygen left in his tank on a flight expected to take two more hours. 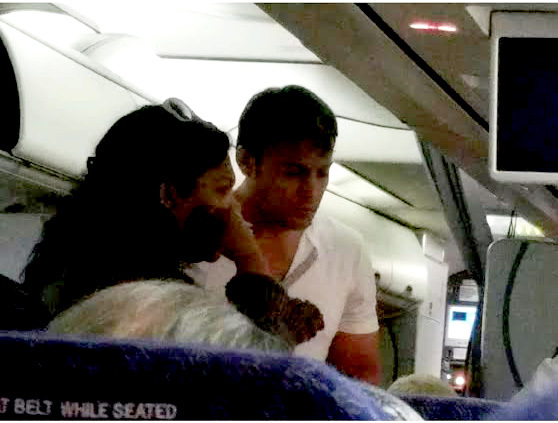 Sharing the man’s information with American Airlines’ on-call physician via the phone, LaTisa started the IV drip and explained the situation. While the physician spoke with the pilot to determine the best course of action, LaTisa utilized the airline’s medical kit to stabilize the man and prepare him for the emergency landing that was about to take place. Keeping a close eye on the patient, LaTisa made sure to utilize best care practices and protocols, as the plane rushed toward the priority landing gate made available to them at O’Hare International Airport. As they began their descent, the whole plane of passengers began to feel relief as they saw emergency medical personnel and the fire department waiting at the gate to care for the now stable man.